This little recipe is dedicated to our lovely livers. We often forget about them and make them do things they really don’t like (i.e. process alcohol) but because we can’t see them we rarely stop and think about how they might be feeling. Our livers are often pretty overworked trying to filter and detoxify all the rubbish we send them on a daily basis, so they need a little helping hand every once in a while. It’s worth noting that if we do neglect them too much, we start seeing dark under eye circles, bad skin and we get hit with headaches and crazy tiredness, so it’s definitely best to give our livers a break every once in a while. So how can making this juice help? Beetroots contain lots of phytonutrients which have antioxidant and anti-inflammatory properties and detoxify the liver. They also contain betaine, which promotes bile flow, leading to improved digestion and liver detoxification. It has been shown that consuming beetroot juice can actually help to regenerate liver cells and clear the fatty deposits caused by long term alcohol consumption, so if we’re looking to help our livers out, beetroot is definitely the best place to begin! Let’s not forget the other ingredients in this recipe too though; apples are great for just generally detoxifying and they also contain pectin which binds to toxins during digestion so that they can be excreted safely (thus giving our livers a bit of a break), carrots contain beta carotene (vitamin A) which is great for liver health as well as vitamins C, K and some of the B’s, and celery also contains liver-loving phytonutrients and are a mild kidney diuretic which helps remove toxins and lower blood pressure. In conclusion then, this tasty tonic is not only refreshing and delicious but it should probably be your number one go-to if you’ve been hitting the vino the night before. 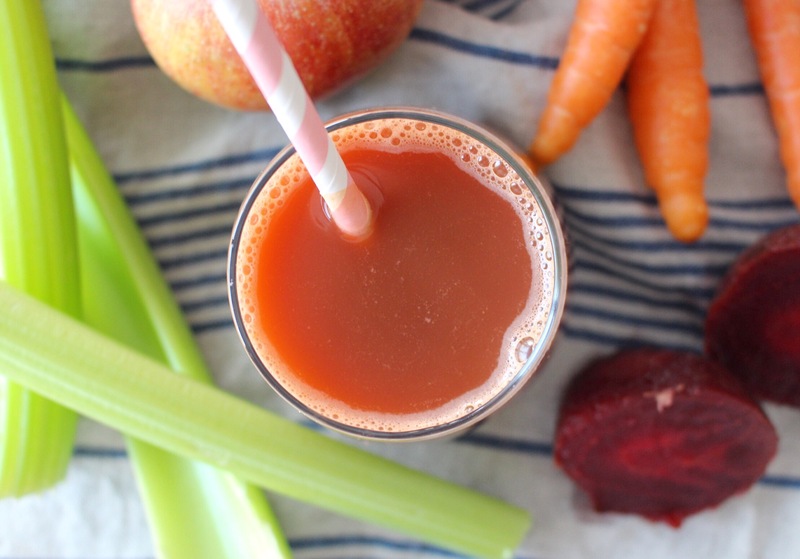 So give it a whirl – your liver will love you for it! 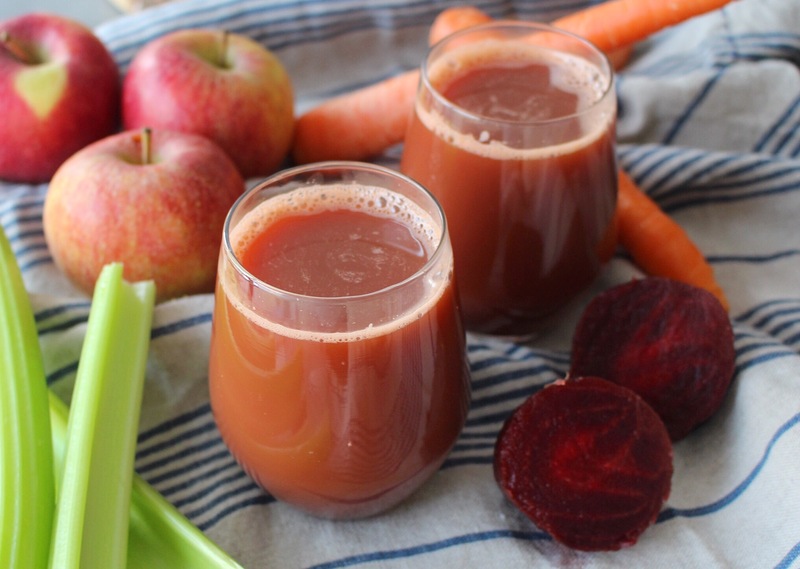 If you have a juicer, you can make this by simply popping in the ingredients, turning it on and letting it do its juicy magic. If you don’t have a juice however but you do have a blender, just blend the ingredients for a minute or so until they are totally liquid, then pour through a tea strainer or nut bag into your glass to get rid of all the pulp.